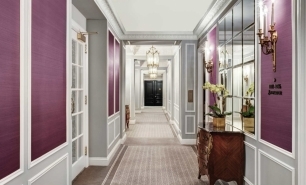 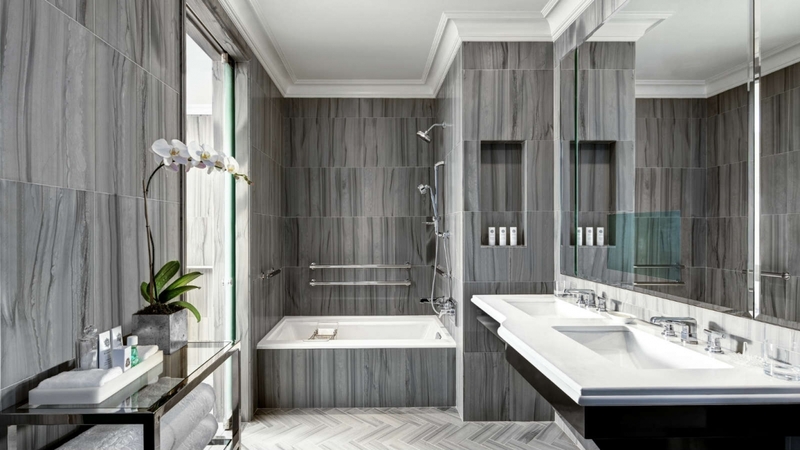 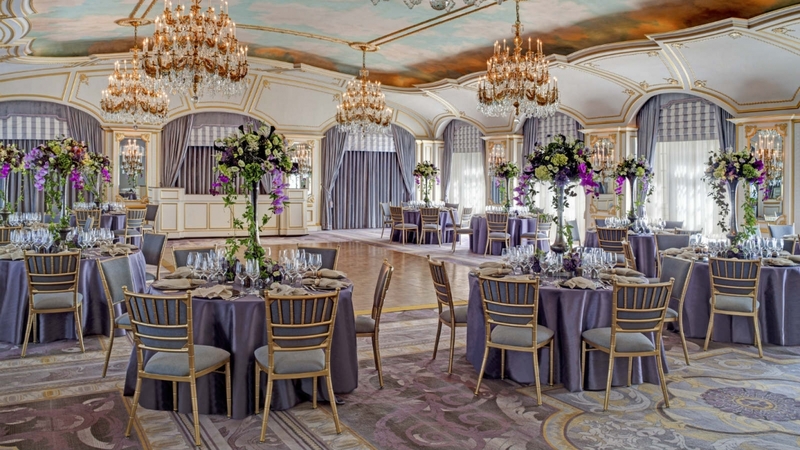 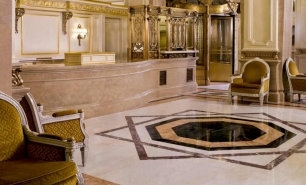 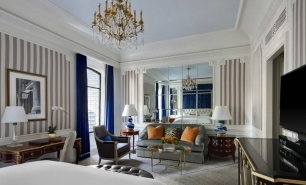 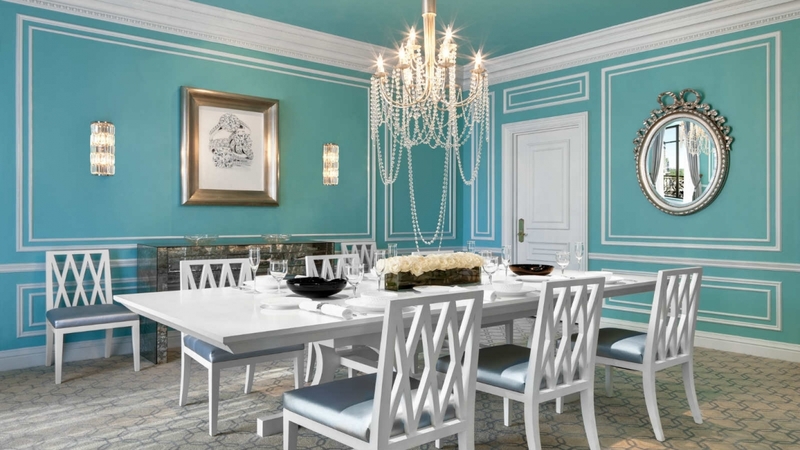 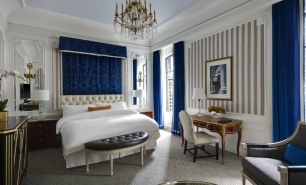 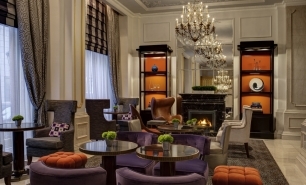 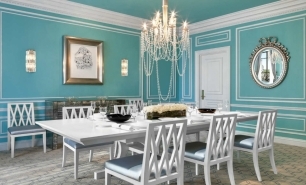 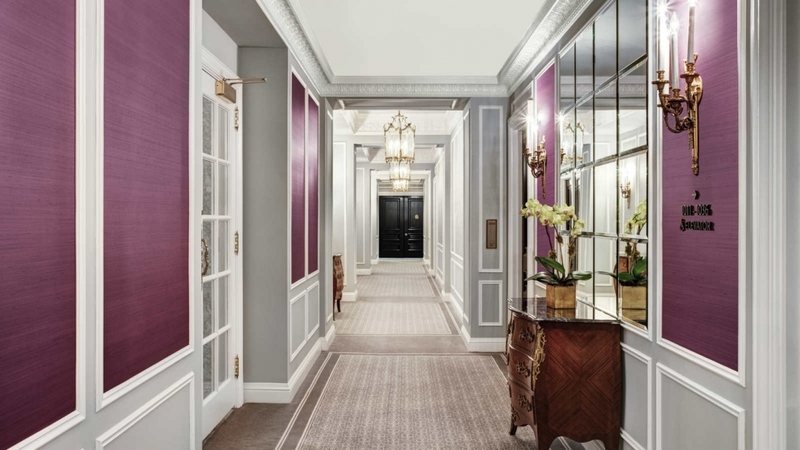 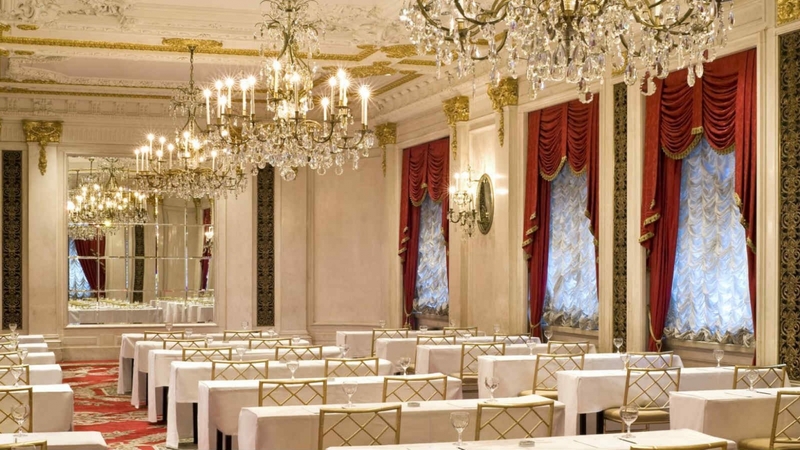 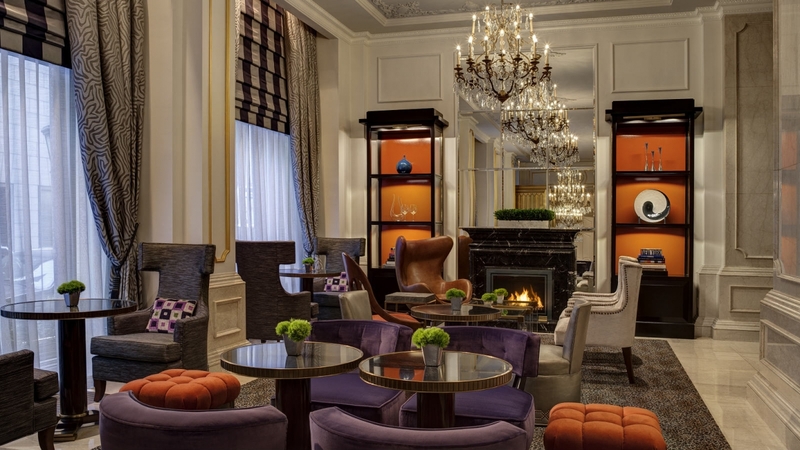 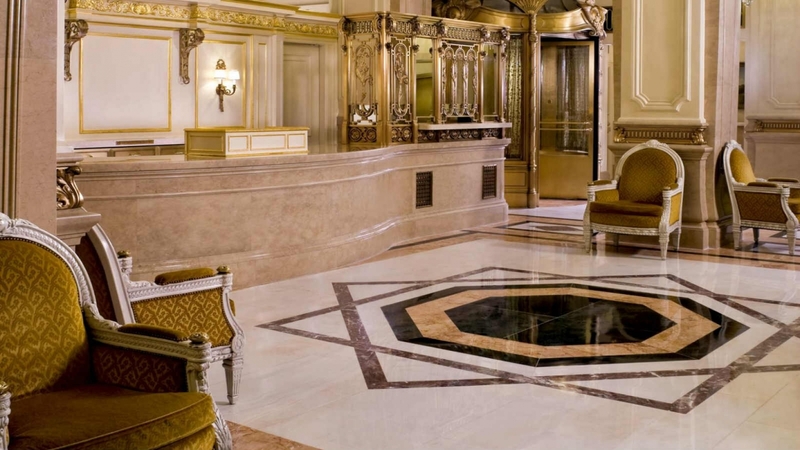 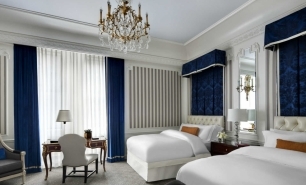 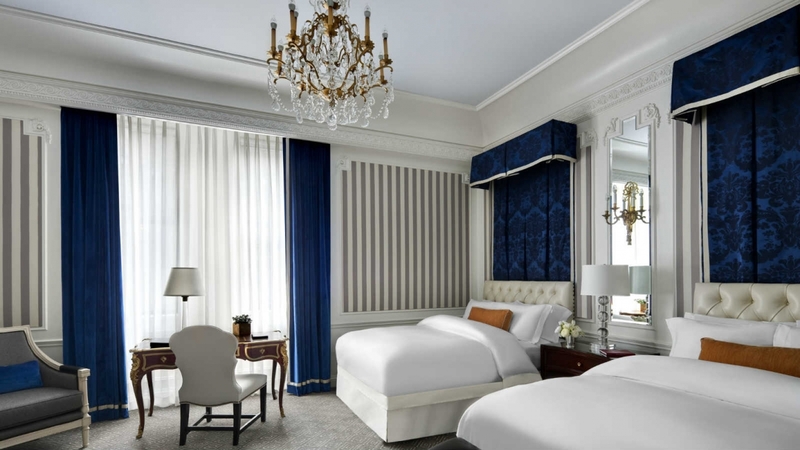 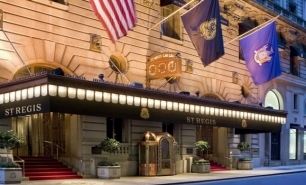 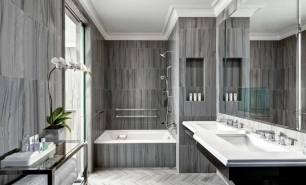 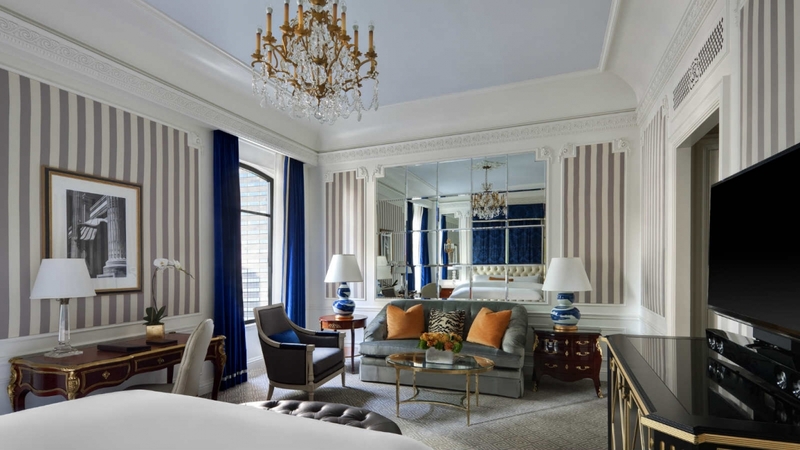 The St Regis is located in the center of midtown Manhattan, within walking distance of Central Park and Manhattan's luxury shopping street, Fifth Avenue. 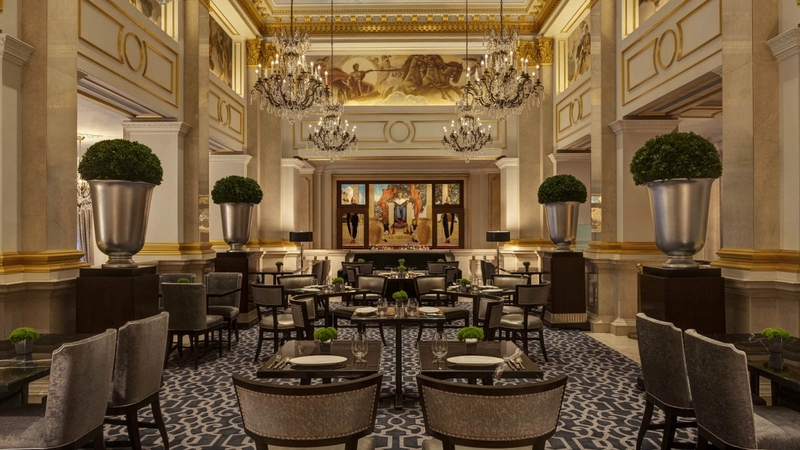 Top restaurants and theatres are all located nearby and many corporate headquarters are just a few hundred meters from the hotel. 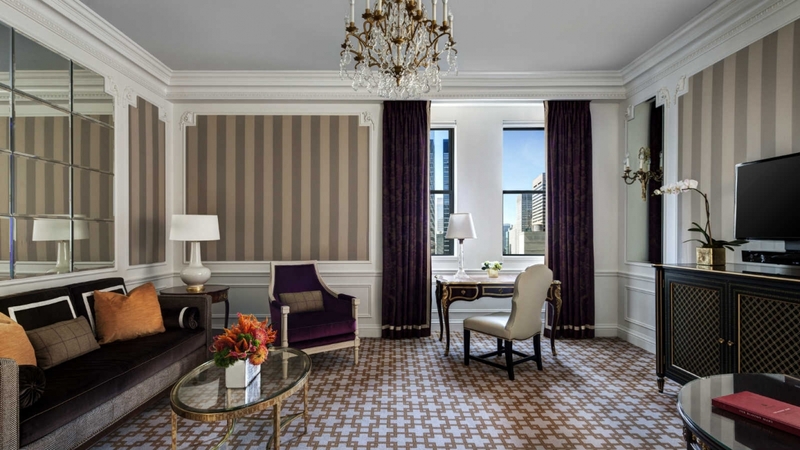 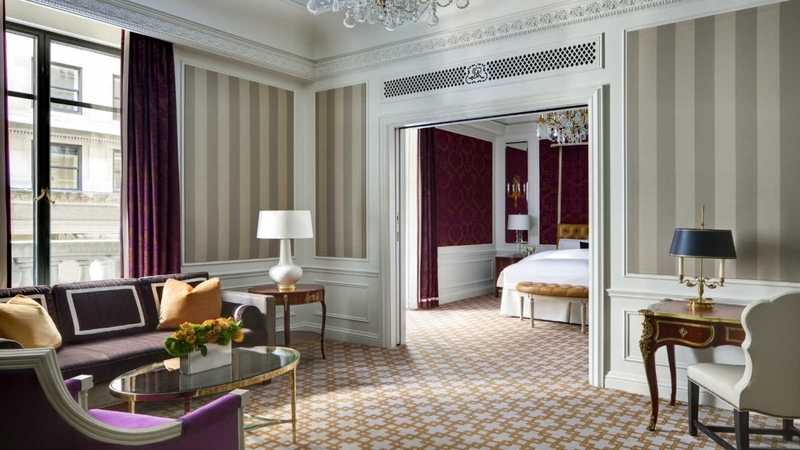 Rooms at the St Regis are spacious by New York standards and many have views of Central Park, Fifth Avenue and 55th Street. 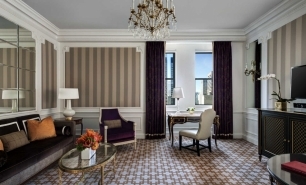 All rooms come equipped with the latest technology and feature iconic photographic artwork from New York artists. 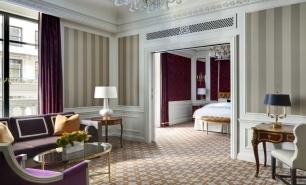 Guest rooms measure between 40 and 56sqm, while suites measure between 74 and 319sqm. 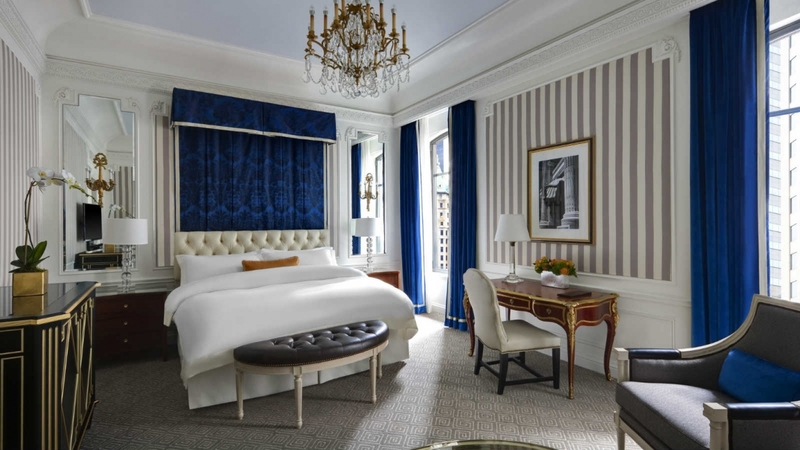 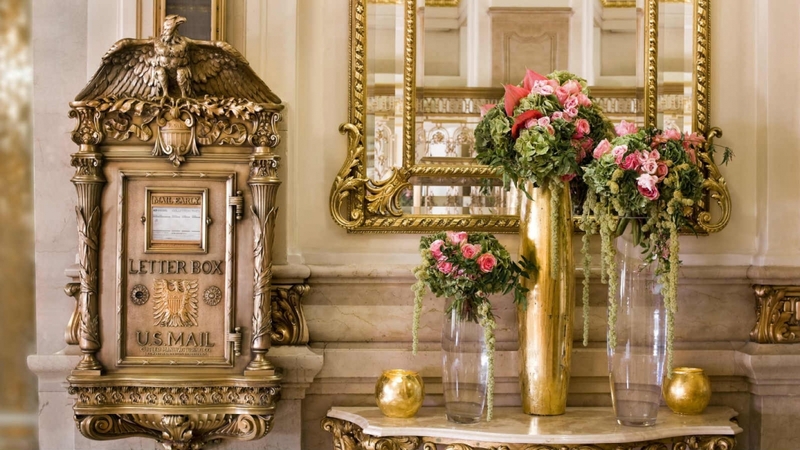 The hotel's various rooms and suites are decorated in a variety of styles, with some drawing inspiration from East-Asia, others from Italian fashion, and others from Dior ateliers in Paris. 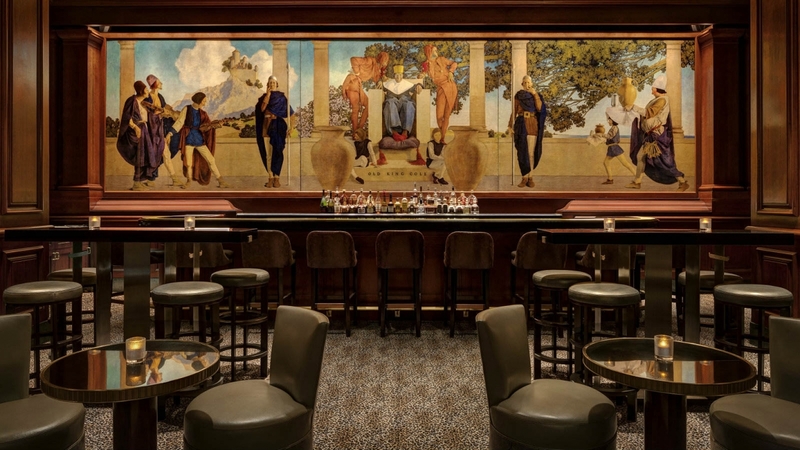 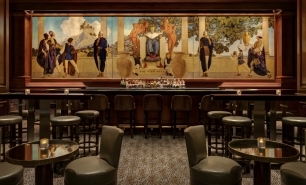 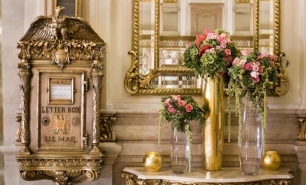 The King Cole Bar & Salon is the hotel's main restaurant and is overseen by New York chef John DeLucie. 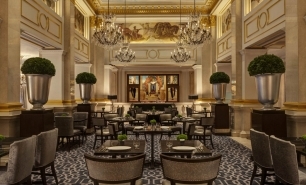 The restaurant serves international cuisine in a sophisticated, glamorous setting. 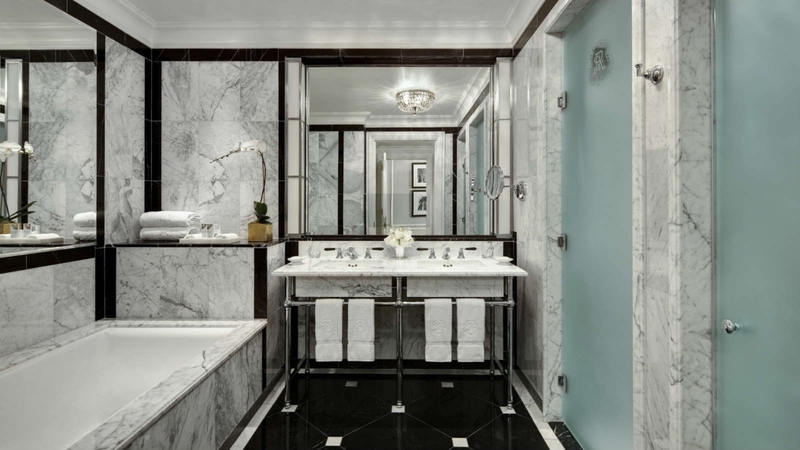 Guests can relax and unwind at the hotel's Remede Spa with a glass of champagne and an assortment of luxurious custom treatments which make use of the Laboratoire Reméde dynamic skin care system. 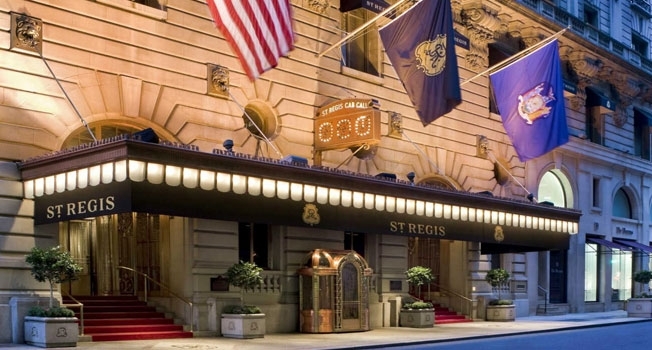 35 minutes (25km) by car from JFK International Airport (JFK), 20 minutes (16km) by car from LaGuardia Airport (LGA), 35 minutes (24km) from Newark Liberty International Airport (EWR).